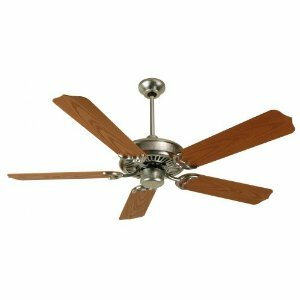 Porch ceiling fans are what they sound like - they are mounted on your porch. These ceiling fans help to move air around on your porch. These work great in climates where it's hot all the time and you like to sit outside. You don't have to use a ceiling fan for this either. You can use a table fan, a floor fan, etc. A ceiling fan though will probably last the longest, as long as you don't subject it to too many forces of nature. One of the things you'll want to check with the fan is - is your ceiling fan UL wet listed or not. 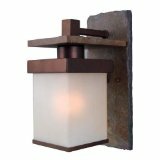 An outdoor wall sconce goes extremely well with a porch ceiling fan. Wall sconces and porch fans work well together and compliment each other quite nicely. If you have some wall sconces that match the decor of your fan, it will add a level of elegance to the room. This works well for outdoor porches as well as indoor shoe rooms which lead to the porch or etc. If the fan is UL listed, it typically will have a little logo on the box that says, "UL." UL listing means that the fan can be used in areas where it might get exposed to water, condensation, moisture, etc. You are not going to run the fan in the snow- for instance. But, if the fan gets exposed to water, it will still work. Meaning if it experiences moisture from rain or other, it will still work. That being said, you are not going to mount the fan in a place where it is directly exposed to water. More indirectly. So, you won't mount a fan to the outside wall of a house where there is no ceiling. You'll mount it to your porch or patio. So when it rains, the fan might get subjected to some moisture but not a lot. Don't mount the fan where it's going to face a lot of snow, moisture etc. You don't want excess. It can stand up to the elements if it's in a proper place. If it's really hot, like in the southern states, you'll also need a fan that is UL listed. A UL listed fan will be able to withstand the moisture due to the super hot climate. If the fan is UL wet listed, it can also be subjected to rain and moisture. A ul wet listed fan is the best bet to ensure the fan lasts many years. If the fan is not UL listed it will have to be removed before the winter and rainy months. If moisture gets into the fan, or rain, then the fan's electrical components will stop working. 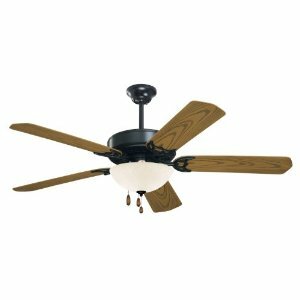 What porch ceiling fan are you looking for? 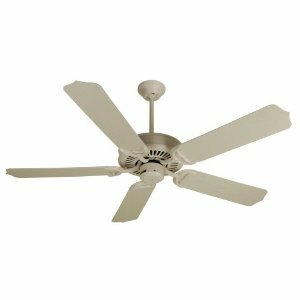 If you are looking for a specific porch ceiling fan, please let us know. You can do so by posting a review using the review box further on down the page. You can also post onto our forums, or use the contact us form. We'll do our best to find the porch fan you need and get it posted to our website.